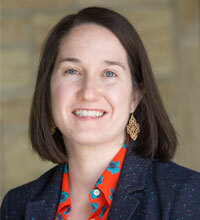 Erin Raffety is a Lecturer in Youth, Church, and Culture in the area of Education Formation in the Department of Practical Theology at Princeton Theological Seminary. She earned her MDiv from Princeton Seminary and her PhD in Cultural Anthropology from Princeton University. Her interests include culture, family, disability studies, ethnography, and theology, and her courses at PTS will cover childhood, youth, disability, cultural change, and ethnographic approaches to practical theology and the study of youth. Her current research and writing focuses on the insight ethnographic methods can provide practical theologians, as well as the challenge anthropology and disability studies present to disability theology and ministry. Her most recent article, “Disruptive Youth: Toward an Ethnographic Turn in Youth Ministry” (with Wesley Ellis in the journal Ecclesial Practices, 2017) examines the intersection of childhood studies, youth ministry, and ethnography, and her article “Minimizing Social Distance: Participatory Research with Children,” considers children as social agents in research and cultural environments (Childhood 2015). Raffety speaks both fluent Spanish and Mandarin, completed her dissertation research with foster families in Guangxi, China, and has published widely on Chinese culture and kinship (her book manuscript based on that research, Families We Need, is currently under review). At PTS, she is thrilled to bring her cultural anthropological eye to the study of and ministry with young people. Raffety also serves as the Associate Pastor for Outreach and Education at Grace Presbyterian Church in Kendall Park, NJ and is an advocate for people with disabilities.